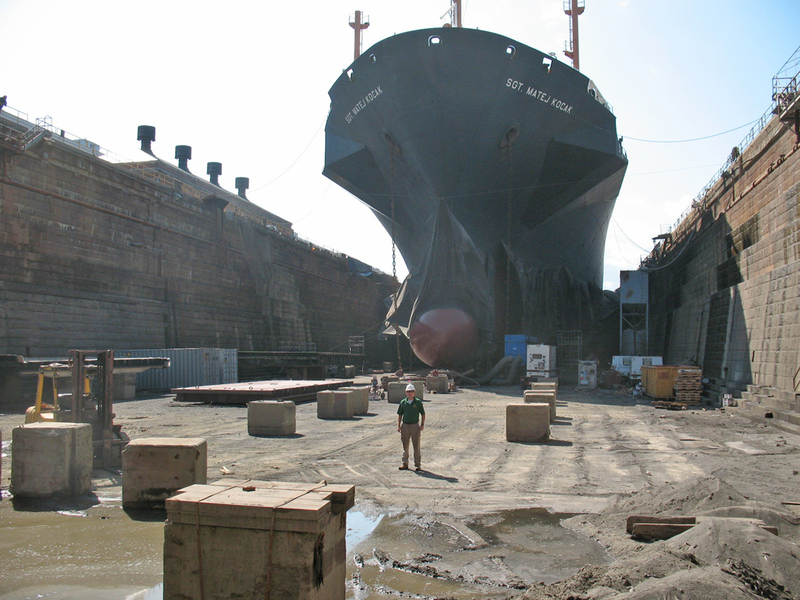 Dry dock engineering requires special knowledge of ships and experience on the waterfront. Since our founding by Kenny Childs, whose careerprior to starting Childs Engineering was based on dry dock engineering, our firm has carried that tradition on by working on marine railways, vertical lift, floating dry docks and graving docks throughout the.world. Our range of drydock engineering services includes design of new drydocks, design of repairs for drydocks, design of modifications to existing drydocks to expand capacity, routine inspection, commercial certification, military 1625c certification, ship transfers, and assistance with blocking plans. In addition to design inspection and certification Childs assists our clients in developing docking plans for vessels. We have assisted many clients by developing multi directional transfer system to perform vessel modifications, such as mid body insertion. The principals of Childs have been training dry dock owners and operators in the principles and practices of safe vessel dry docking for over forty years. These courses are recognized by the US and Canadian Navy and Coast Guard.